Shadowhunters | Season 3, Episode 13: Clace in Love | Morgan Saint - "Glass House"
Based on the bestselling young adult fantasy book series The Mortal Instruments by Cassandra Clare, Shadowhunters follows 18-year-old Clary Fray, who finds out on her birthday that she is not who she thinks she is but rather comes from a long line of Shadowhunters, human-angel hybrids who hunt down demons. 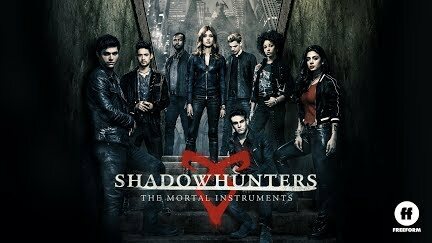 When her mother Jocelyn is kidnapped, Clary is thrown into the world of demon hunting with mysterious Shadowhunter Jace and her best friend, Simon. Now living among faeries, warlocks, vampires and werewolves, Clary begins a journey of self-discovery as she learns more about her past and what her future may hold. Part of Disney|ABC Television, Freeform connects to audiences and goes beyond entertainment with bold original programming and immersive social engagement. As Disney’s young adult television and streaming network, it delivers a unique mix of quality original and acquired series, plus fan-favorite movies and the holiday events "31 Nights of Halloween" and "25 Days of Christmas." The Freeform app allows viewers access to 24/7 live viewing of the network, as well as continued on-demand access via a wide array of devices.